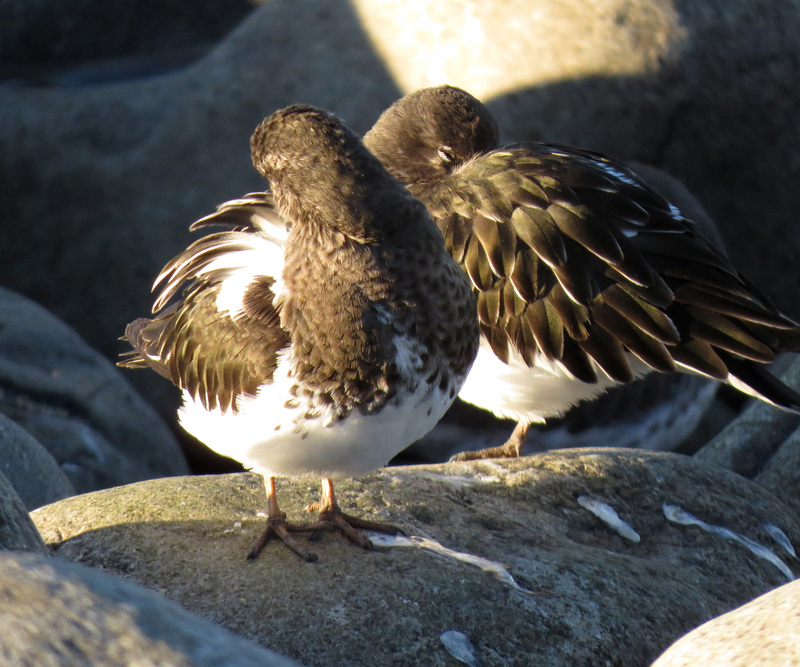 I spent a cold but sunny day on the coast, from Seaside to the Columbia River. 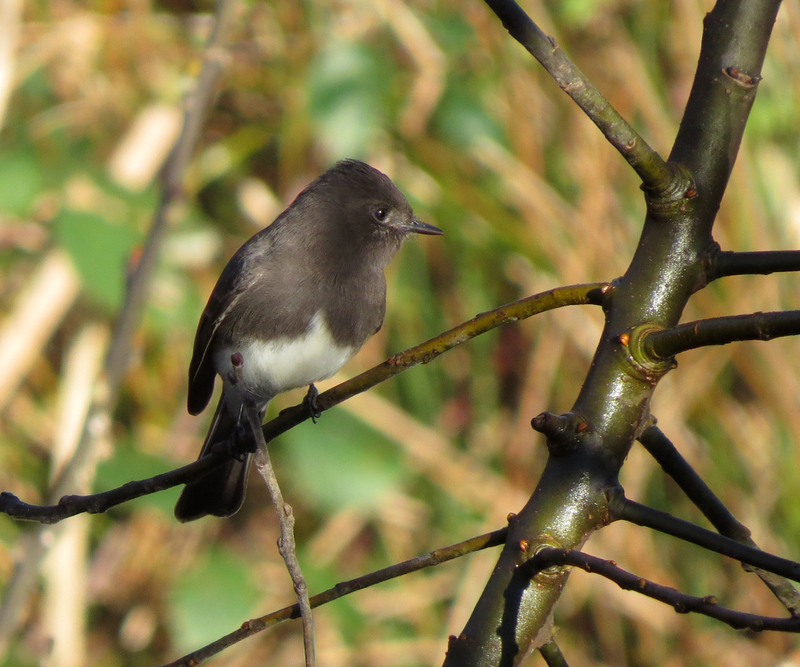 One of the best surprises of the day was this Black Phoebe at Millponds Park in Seaside. 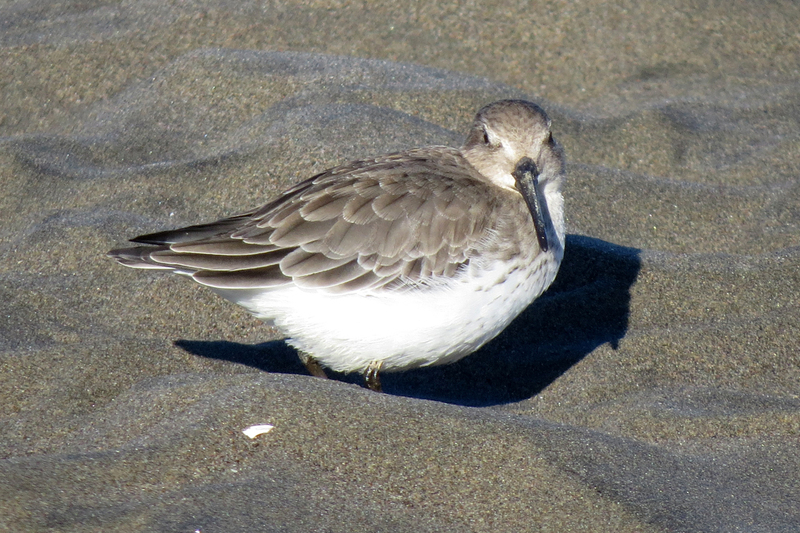 This species continues to expand its range northward, both along the coast and in the Willamette Valley. While the ponds at this park are attractive to freshwater waterfowl like Ring-necked Ducks and Hooded Mergansers, the brushy areas hold good numbers of sparrows. 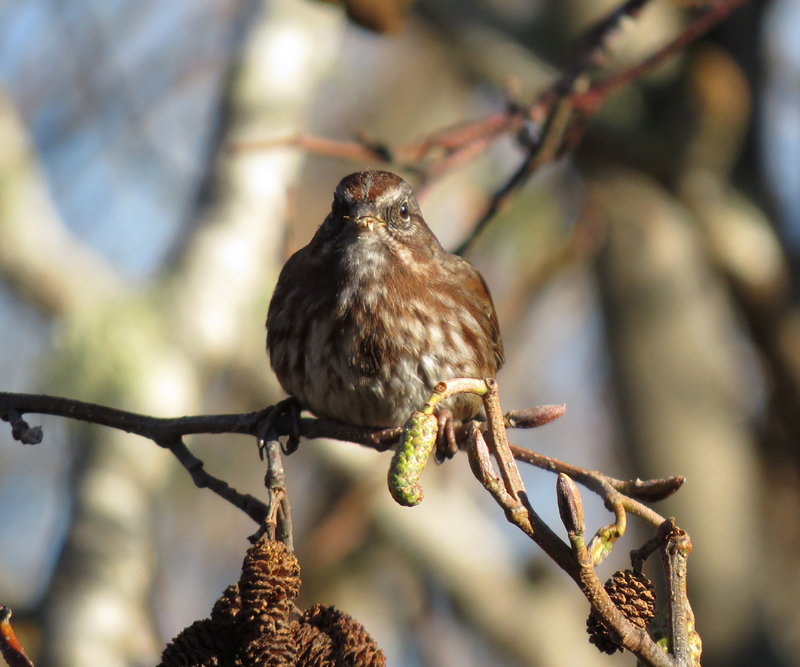 Here is a Song Sparrow in the harsh sunlight. 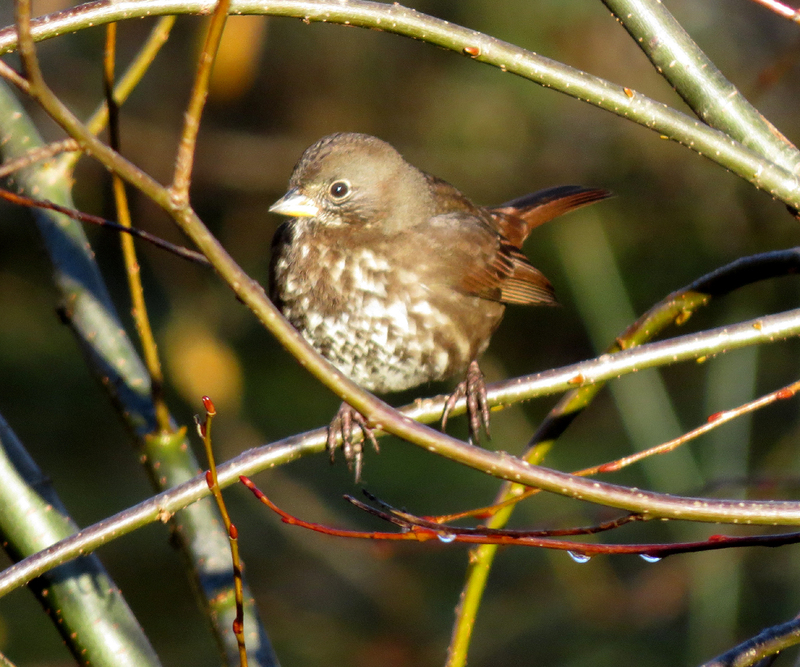 Fox Sparrows are common in the brushy areas. 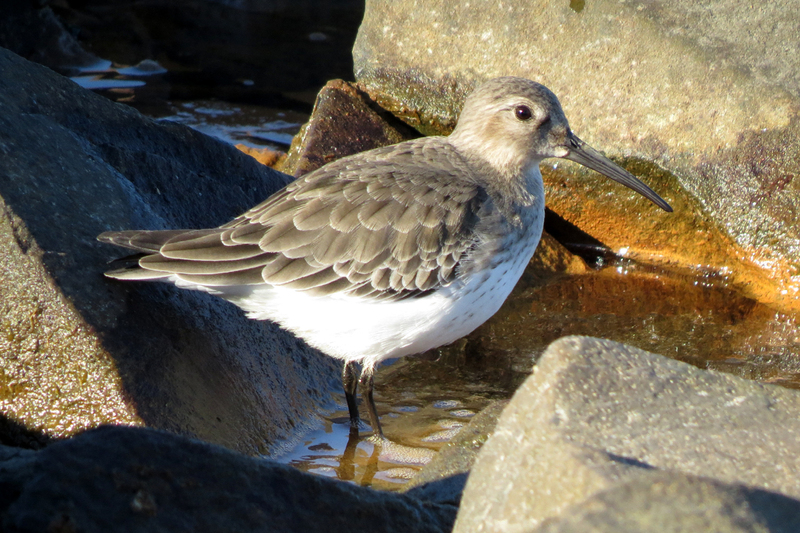 Unfortunately, my camera prefers to focus on the brush, rather than on the birds. 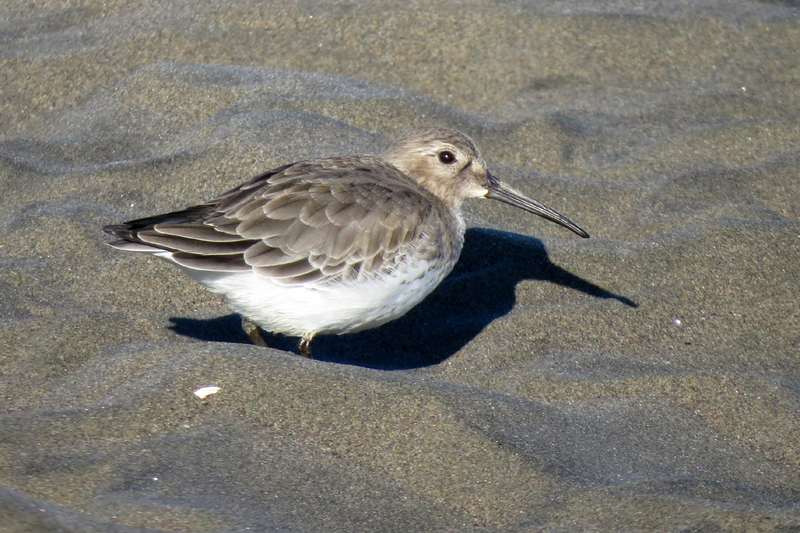 This lone Dunlin was the only shorebird I found at Fort Stevens. He was very tolerant of my presence. 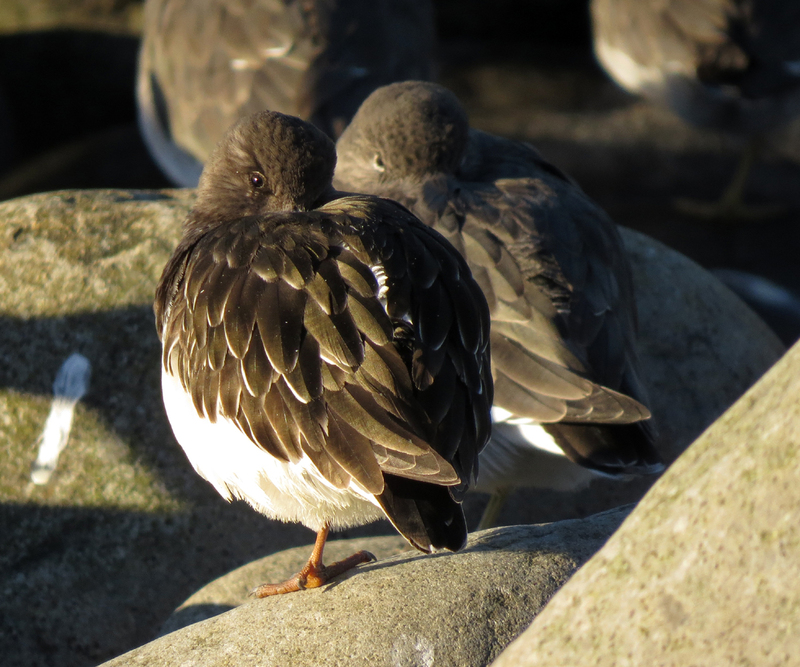 The Seaside Cove hosted huge rafts of birds; all three scoters, Greater Scaup, Western Grebe, and a single Long-tailed Duck. 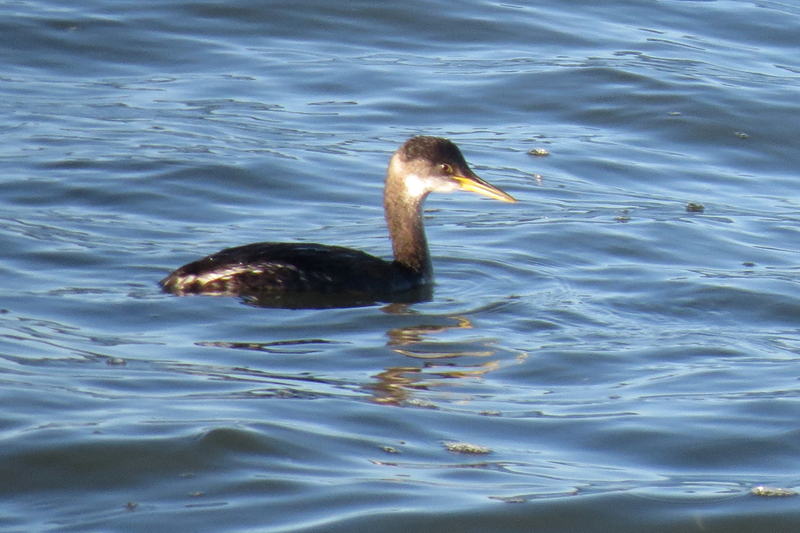 Most birds were beyond the breakers (aka beyond camera range), but this Red-necked Grebe came in close enough for a blurry photo. 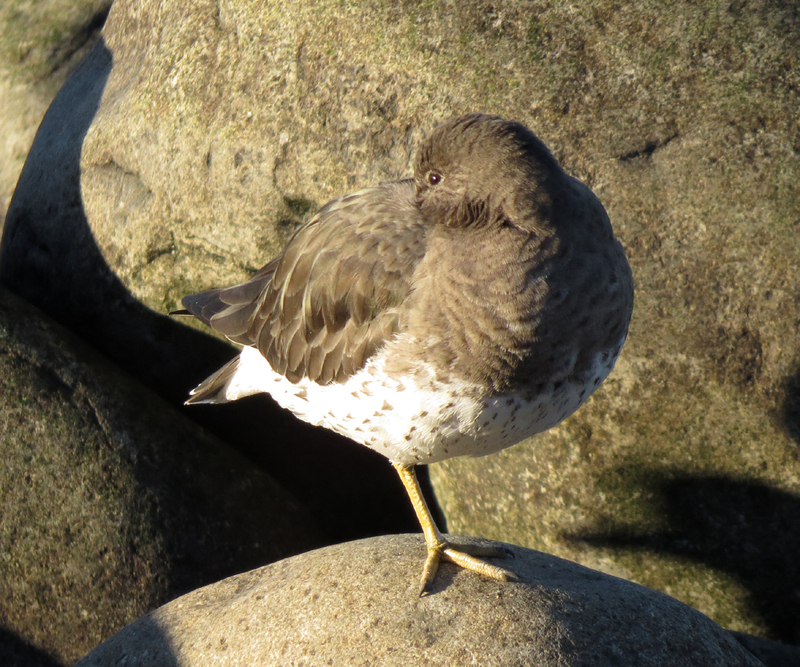 This entry was posted in behavior, OR Birding Sites and tagged Black Phoebe, Black Turnstone, Dunlin, Fox Sparrow, Millponds Park, Red-necked Grebe, Seaside Cove, Song Sparrow, Surfbird. Bookmark the permalink.